Some of your favorite summer fruits contain a surprisingly toxic secret deep inside. 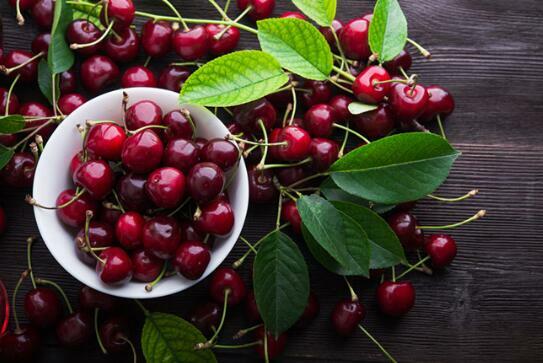 A British man was recently treated for cyanide poisoning after eating cherries, or more specifically, cherry pits. While sampling the fruit, he cracked open three pits and ate the substance inside, the Independent reported. It “tasted similar to an almond but with a cherry flavor to it — I didn't think nothing of it, just thought it was a seed, so I ate it and continued to eat more of it,” Matthew Crème told the BBC. He began to feel ill a few minutes later and was rushed to the hospital, but has recovered. The pits and seeds of many fruits contain amygdalin — a plant compound that your body converts to cyanide after eating. Symptoms of cyanide exposure include dizziness, headache, nausea, a rapid heart rate and convulsions. Amygdalin stays safely in the pit — unless you crack it open and eat the substance inside, like Crème did. The flesh of the fruit contains very little of the compound. Stay away from the contents of the pit and keep eating the fruit, said Isabel Maples, a registered dietitian nutritionist and spokeswoman for the Academy of Nutrition and Dietetics. "If you're worried about the danger of eating fruit because of cyanide, I would say not to be worried about that. There's more danger to more people in not eating enough fruit," Maples told TODAY. "The vitamins, minerals, fiber and disease-fighting antioxidants would still be a lot better for us than worrying about the danger of the seeds." The pits of green plums have the highest amygdalin content, followed by apricots, black plums, peaches and red cherries, one study found. Apple seeds were next on the list. How many would you have to eat to get sick? It depends on the size of the pit and the concentration of amygdalin. Your body can handle small amounts of cyanide, but gets overwhelmed by large doses. An adult who eats more than three small raw apricot kernels, or less than half of one large kernel, in one sitting can exceed safe levels of the cyanide-releasing chemical, the European Food Safety Authority found. For toddlers, even one small apricot kernel was risky, it added. You’d have to chew and eat the seeds of about 18 apples in one sitting to consume a lethal dose of cyanide, one science website estimated. If you just swallow an apple seed or cherry pit intact, the amygdalin shouldn't get into your system: The shell is hard enough to pass through your digestive system intact, Maples said. Heat deactivates the cyanide, so seeds are safe if processed properly, which often involves soaking, drying, heating — including cooking, canning and roasting — or fermenting, she added. People often eat the pits intentionally: Some like the taste of apple seeds, while others believe the almond-like substance has health benefits. Apricot kernels are the basis for laetrile, a purified form of amygdalin, and have been marketed as a cancer cure, but laetrile has shown little anti-cancer effect in studies, the National Cancer Institute noted. The FDA recently warned more than a dozen companies to stop making claims about herbal products marketed to treat or prevent cancer. In fact, eating apricot kernels poses risk of cyanide poisoning, the European Food Safety Authority specifically warned last year. But normal fruit consumption — enjoying the flesh and skipping the pit — does a body good. "My advice would be for people to continue to increase fruits," Maples said.